First you need to identify your needs before you visit a manufacturer or supplier of printers. If you need a printer for massive printing operation involving hundreds of thousands of product label then you can try a heavy duty and high performance barcode printer. Or else you can go for mobile printer, if your requirements are not too demanding. Later evaluate different features of the printing machine, which was chosen to suit your needs. Some printers are available in the market, which can only identify one symbology, such models have limited functionalities, though they are cheaper. You should choose the best printing machine, which have the ability to identify multiple symbologies irrespective of brand. 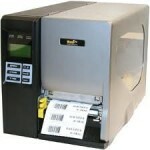 A versatile printer can work and will print the right labels irrespective of software, which is used by a company. Printer that is chosen should have superior connectivity features to provide the best performance. The other important thing is quality of printing of the printer. You can go for Zebra printers, which maintain good quality. If the print quality of the barcode labels is poor then barcodes can be not be read by the scanner. These are the tips to follow, while purchasing the printer for your business. This information may help you to choose a best printer.